This game was made in for a GameJam with several other programmers, artists, game designers, and sound designers. My contribution was the machine learning backend for the slime. It can be pretty difficult as the AI engine powering it is not very sophisticated, however it is possible to get to the end with clever training curricula. Download now for Windows on Itch.io! Shake Wait began as many projects do, in a motel room party on the outskirts of San Diego during the 2015 International Comic Con. That night the jokes and innuendos flowed fast as we reminisced about the extremely current and not at all dated exercise product Shake Weight and lamented that there was no real app equivalent on the Google Play Store (at least none that did not give the impression of imminent identity theft). So Shake Wait was born; what was once a silly fantasy became reality in a delightful and trademark/copyright friendly way. 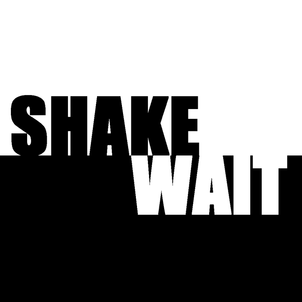 Shake Wait is a challenging game that's fun for the whole family! The concept is simple: shake your phone up and down to raise the meter, then wait for it to shrink back down. If your meter rises all the way up or falls all the way down, it's game over! It may sound easy, but nothing could be harder. This game will be a true test of your mental fortitude and your arm strength – just remember to switch arms. How long can you Shake Wait? This is definitely not a parody of a popular exercise device, and definitely is a great game to play in front of large groups of strangers or friends. Makes an excellent party game! - Shake-Off: Compete against a friend to see who can last longer. - Two-Person Shake: You and a trusted friend both hold the phone and work together to reach a new Shake Wait high score. - Circle Shake: A whole group sits in a circle and goes until they're exhausted and just can't Shake Wait anymore. Starting off as a project to practice using the Unity Development Environment, Shooty Arrow Man is a retooling of a classic arrow shooting game brought into the mobile sphere. Are you ready for an archery adventure? Test the skill of Shooty Arrow Man in two spectacular game modes. Hone your precision in Classic or make it rain arrows in Time Attack. Sporting retro graphics and a fabulous mustache, Shooty Arrow Man is the archery hero that fits in your pocket. In my continuation to better myself in regards to Unity development, I have embarked on another journey to create "Locally Trending" [working title]. It is a meant to be a satire on the anti-social nature of social networks and a commentary on their more inane and banal qualities. Inspired by such artful games as Cookie Clicker and Make it Rain, Locally Trending will provide a pleasant supply of undeserved dopamine that may just make life feel a little less empty. Work on this project is in collaboration of a colleague of mine who happens to be an artist so the graphic design should be even a step up from the aesthetic masterpiece that was Shooty Arrow Man. ​Until further notice, this project is on an indefinite hiatus. This game is the product of a GameJam at Chapman University in Orange, CA. The bulk of the game mechanics and art were created within 24 hours by me, while another 12 hours were spent polishing, finding royalty free/creative commons sound and music, and generally bug fixing. 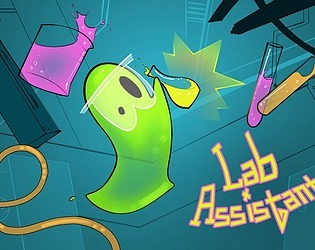 The game uses the NeuroSky Mindwave Mobile EEG headset as a core gameplay mechanic. To play the game, you must stay calm and relaxed despite stress inducing ambiance and focus hard enough to advance though the level. Players must pass though thorns, spiders, crazy clowns, and mysterious faceless dolls to gain access to the door at the end of the corridor. Where does the door go? Perhaps there is none among us who can say.... oooOoooOoooOO. I intend to post this game to the NeuroSky store as soon as possible for the PC platform.